Over the last week fall has suddenly appeared. I love how the trees go through such amazing colour transformations in this part of the world – that was also a great thing about autumn in Antwerp. It’s not just the leaves that are proudly displaying their autumnal garb though, you can find the colours of fall in many places. On Saturday we spent a fun few hours immersing ourselves in fall colours that were a wee bit closer to the ground…. Anyone in need of a carriage? 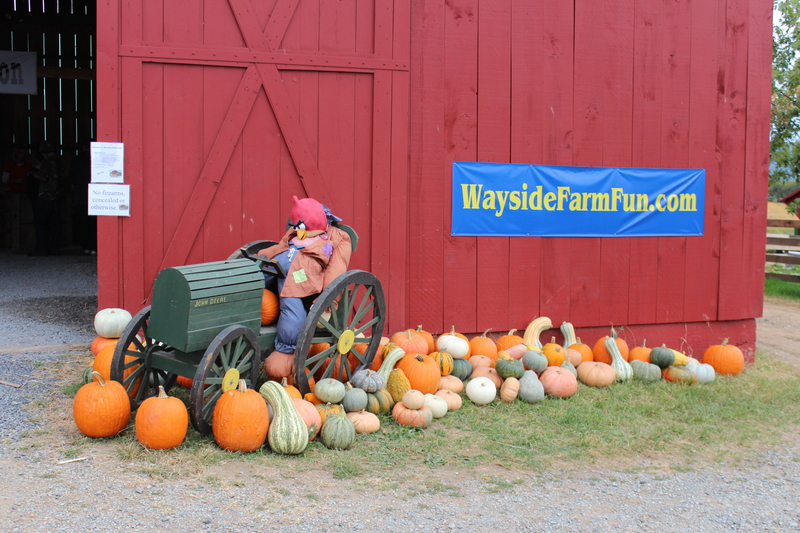 Wayside Farm in Berryville is the perfect place to go and celebrate the arrival of the cooler months. 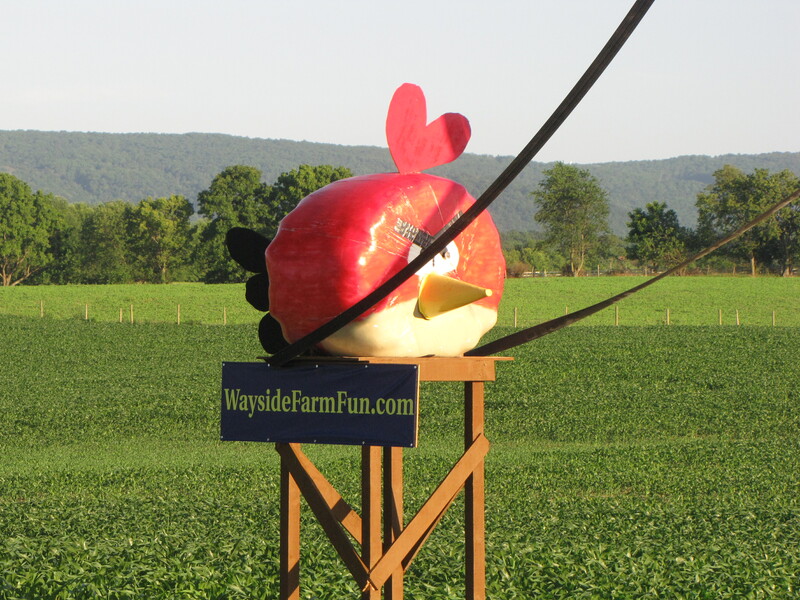 We knew that there was an Angry Bird themed corn maze at Wayside, but did not realize we would also find a myriad of pumpkin themed activities that would keep us entertained for hours! When you see this appear on the side of the highway, you know you’ve come to the right place. 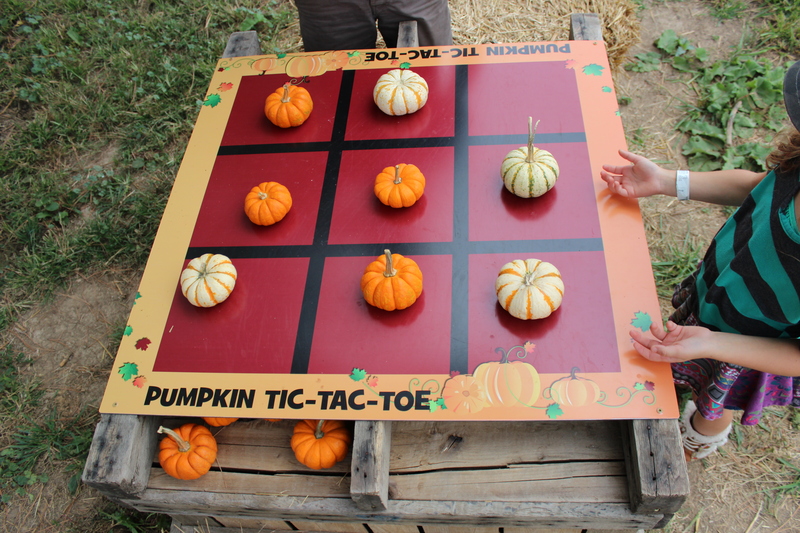 There was a pumpkin playhouse, pumpkin bowling, pumpkin tic tac toe, pumpkin swing ball, have I said pumpkin enough yet…yes! 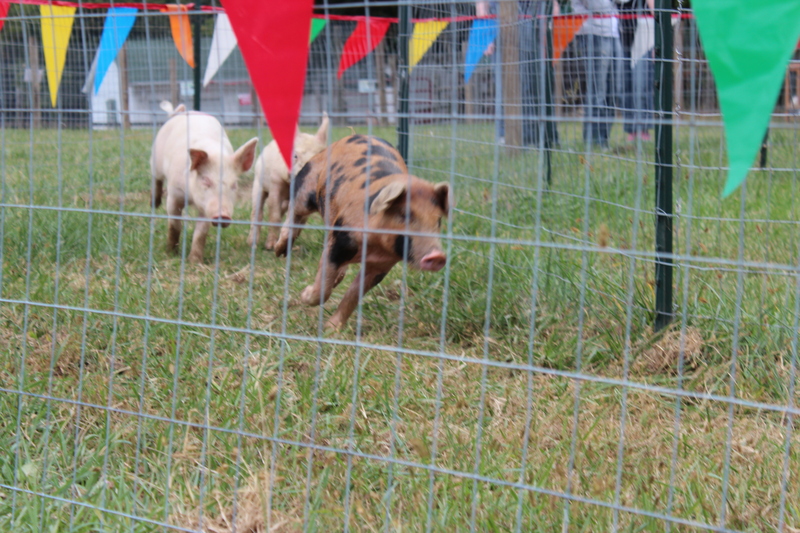 To balance out all those pumpkins there were pig races, hayrides and a combine harvester slide. 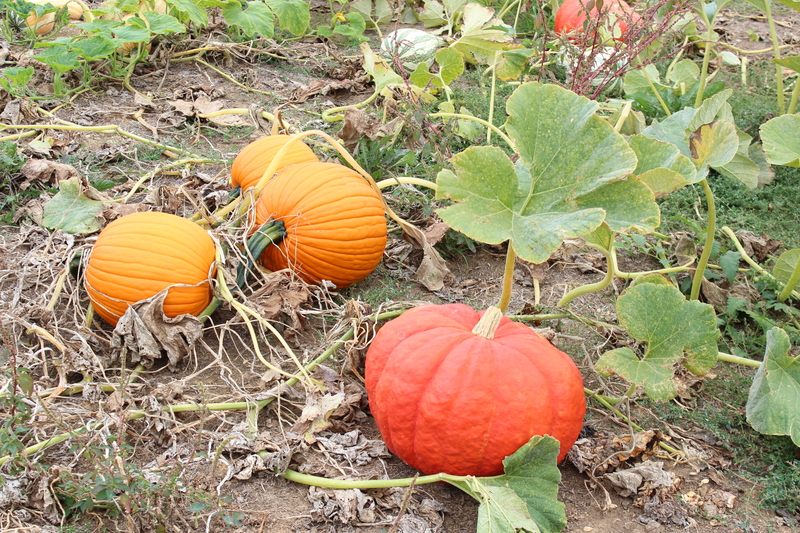 How cute are those wee pumpkins! 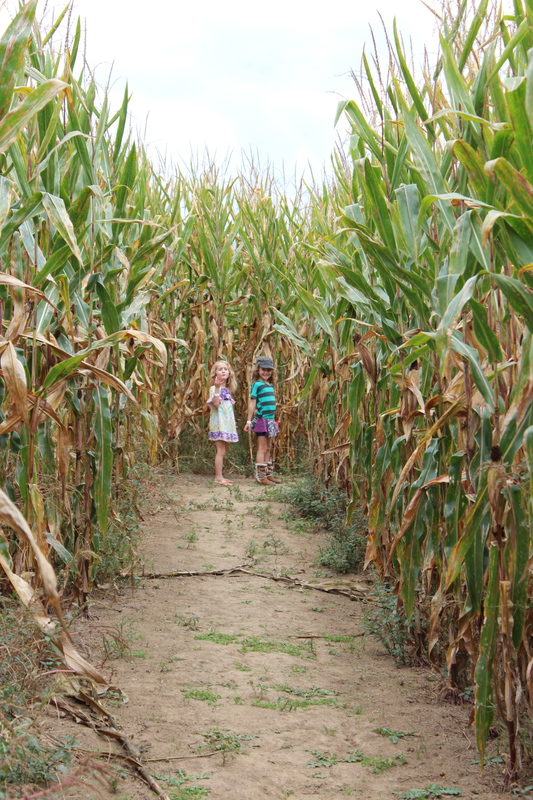 We were beginning to think that we’d never get the girls into the maze but we managed to drag them away from all things pumpkin. Dotted throughout the maze were multi choice questions and your choice of answer determined which direction you turned in. Most of the questions had an Angry Birds theme and the young girl who gave us the question sheets glanced at the girls and said “you’ve got those two so you’ll be fine”…um…no…we don’t play Angry Birds in our house – I am suspecting we are one of the few houses who don’t? 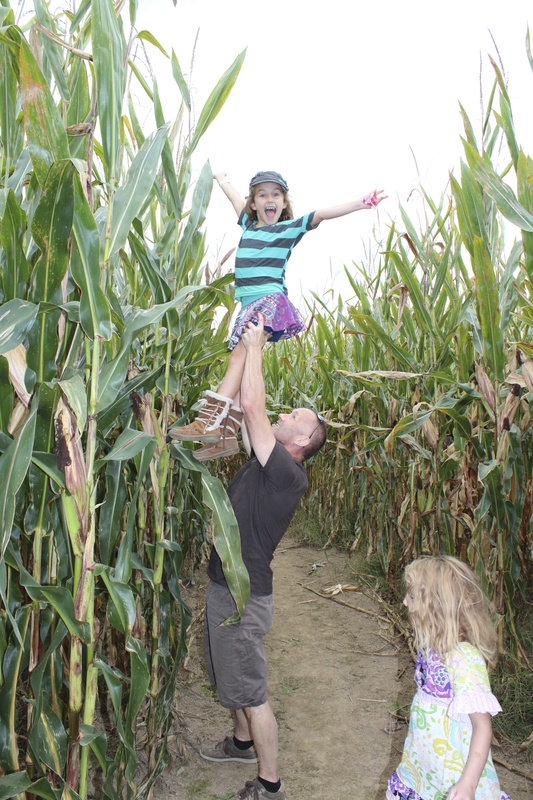 Despite our lack of knowledge we managed to find our way round, no need whatsoever to call in the “corn cop”. Children of the corn…sorry…couldn’t resist! That’s some seriously high corn. 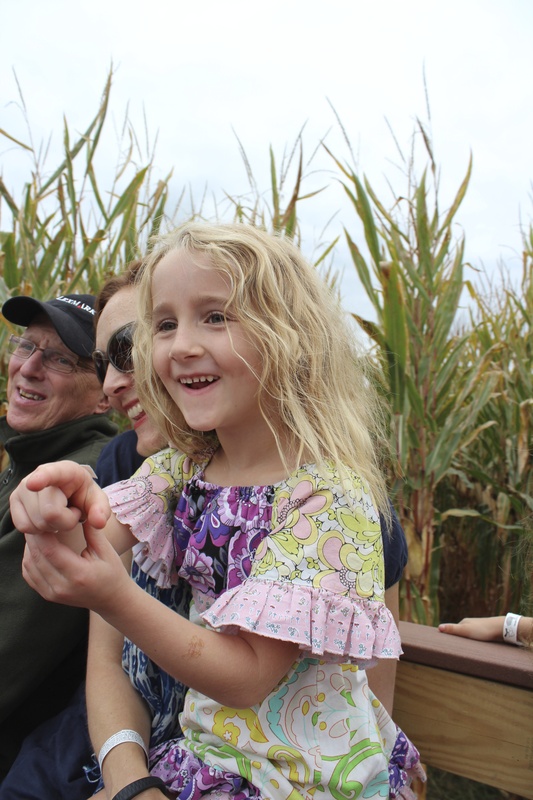 Spotting Halloween themed scavenger hunt items on our hayride. 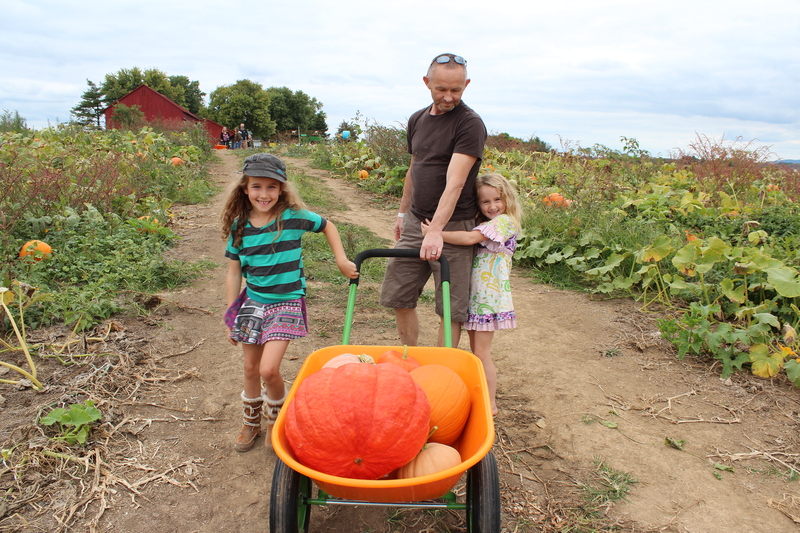 After our hayride we headed for the pumpkin patch and got down to the serious business of pumpkin selection. After much deliberation we settled on these. I received many appreciative comments from passersby about my selection – yes it is the biggest one. Sunday afternoon was spent carving the girls’ pumpkins. 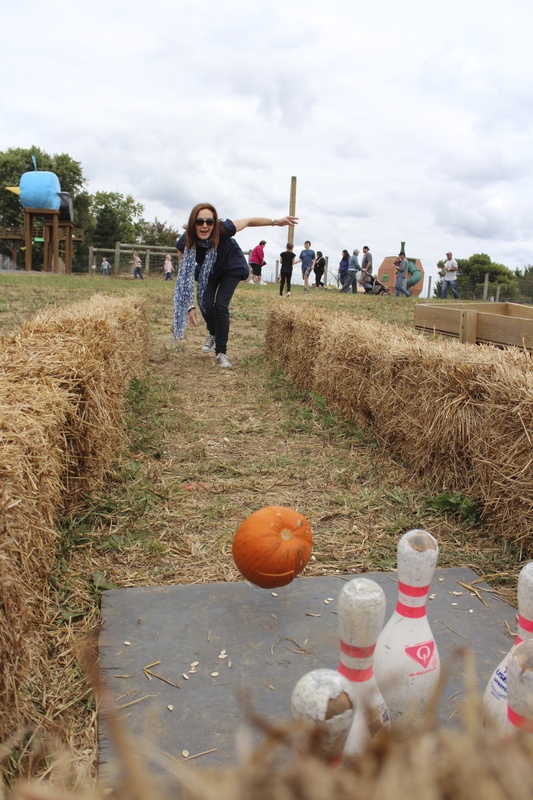 It felt very significant as carving pumpkins was one of the first “American” things we did after moving here last year. This Thursday it will be exactly one year since we arrived – wow! Take care everyone – off to start planning Halloween costumes! I know Dierdre – it’s amazing. I take it as a good sign though – that things are good 🙂 Thanks for reading – hope you are well. Chris I am more than convinced now that all your blogs would be so educational for kids outside the U.S.A. Turn it into a book. With the imminent demise of the printing of the wonderful school journal this would be an excellent publication!! Yes it has been a year and today is ALfie’s 1st birthday. So have you shared your kiwi “Cream of Pumpkin Soup” recipe. What a ball the girls are having. Terrible news about the School Journal – such an important resource – hope somebody steps in to save it.